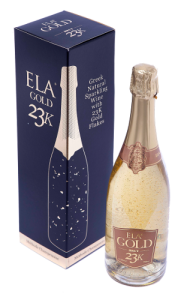 Ela Gold 23K is the perfect gift to express your love or to celebrate success with the ones who are special to you. Are you looking for something creative, innovative and unforgettable? Express yourself and deliver your wishes with style and elegance. Produced in Greece with 23 karat pure gold, Ela Gold 23K stands out at first glance, as it is presented in an impressive black and gold gift box to add extra luxury. 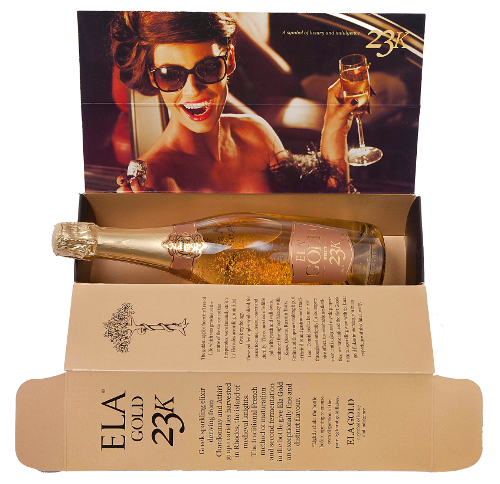 We suggest adding a special golden gift card with a personal message to complete the Ela Gold experience.